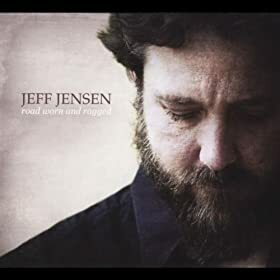 Blues guitarist and songwriter Jeff Jensen closes Road Worn and Ragged with “Thankful,” a funky/soulful ode to a musical life well-lived; it’s a sentiment not often associated with the angsty 3-chord art form that is the blues. But we should all be so thankful for what the blues has given American music, despite its roots in some dark chapters of our country’s past. Jeff seems to get that, delivering an album that manages to be heartfelt without being overwrought, respectful of the form without being self-consciously reverential. A spirited cover of Willie Dixon’s “Red Rooster” includes some meaty guitar and a throaty harmonica solo from Jeff’s former bandleader Brandon Santini. Jensen benefits from first-rate musical support throughout Road Worn and Ragged, including the bass and drums of regular band members Bill Ruffino and James Cunningham. This is definitely an outfit I want to catch live, if their spirited studio performance is any reflection of stage presence. Blues fans seeking a laid-back but energetic electric blues set should check out this latest effort from Jeff Jensen; it’s certainly one of the blues highlights of 2013. This review was originally posted on New.Old.Stock. – A guitar music blog.